The new interconnected world is here and low cost smart hubs are driving this new category. I’ve been in the process of creating the ultimate automated home for the past 3 months. In doing so, I’ve been testing, and breaking various “smart hubs” controller devices currently on the market. This is the fourth device I’ve tested out on my network and seems to be the most flexable and easiest to setup. I’d been hearing a lot of great things about the SmartThings Hub for a while. While i was still struggling away with my Control5 and Insteon, my somewhat geeky friends were gloating about their seamless smart network built on the SmartThings V1 Hub. I wasn’t too attached to any of the hubs I’d tested to date, so I was eager to take this Kickstarter success story out for a spin. Specially as it was refreshed by Sansung in their latest SmartThings V2 Hub. The following is my in depth analysis and review of the SmartThings V2 Hub after configuring it and letting it run for a couple of weeks. I was actually quite pleasantly surprised by this little controller, so be sure to check out the results below. In each of my smart home controller reviews, I like to take a look at the pros and cons. Below I’ve highlighted the top things that I like about this hub, as well as some of the downsides to consider. ZigBee and Z-Wave: These two features are what really turns the SmartThings Hub into a true smart home controller, in my opinion. As it brings together two great Home automation technologies into one solution. 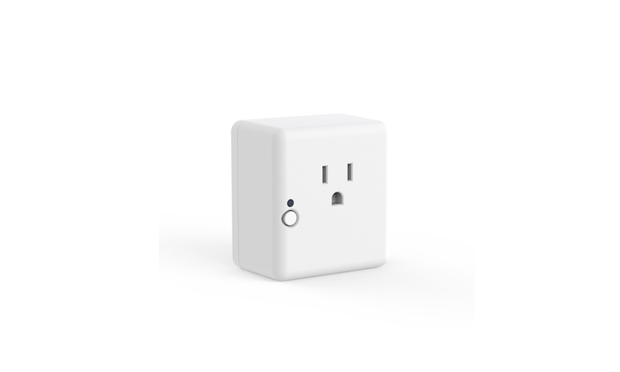 Easy to Install: Dare I say it, but the SmartThings Hub has “apple-like” user friendliness. Even my technically stunted wife could figure out how to do the basic set up and configuration. Worst case scenario, call up the geekiest friend/family member that you know to help out, but its fairly simple. The Best part is that there are no Monthly Fees or Service Charges. It was nice to know that I didn’t have to sign up for any monthly service plans. These are quickly becoming the norm as smart hubs grow from the start-up phase into maturity. Thankfully, SmartThings has no fees although it does seem that Samsung will be offering upgraded service options. 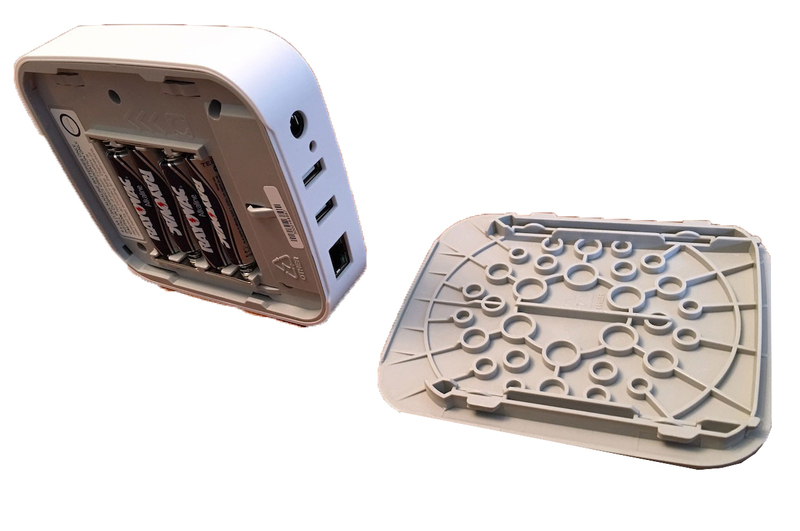 Has been upgraded and now supports 4 AA batteries as backup power. Compared to the first one which would stop fuctioning the minute the power went out. Excellent Starter Package (optional): This is an entirely optional path, but I’d highly recommend investing in the starter kit for this hub. 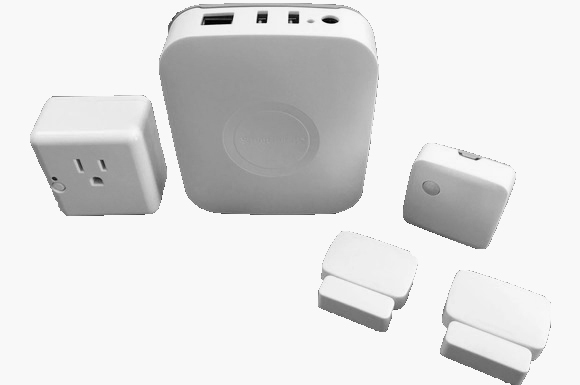 It comes with two of the following: presence sensors, open/close devices, a smart power outlet, temp sensors and motion sensors. It’s more expensive up front, but less expensive than if you purchased them individually. 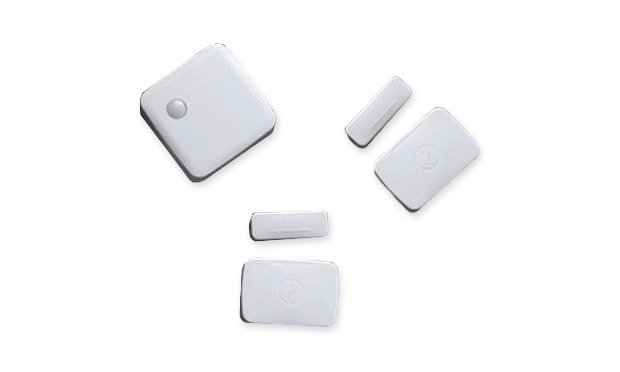 Plus, they are practically guaranteed to work as they come in a compatibility friendly kit. Great as an entry level security System, as devices such as ZWAVE doorlocks, motion sensors, door and window sensors, security cameras and even a siren can be added. Best part is if any are triggered while you are away, you can set it up to turn the siren on and send you a txt or push alerting you of a tresspasser. It seems to have a built in Bluetooth but not many Bluetooth devices are supported as of yet. Troubleshooting Could be Easier: The app is beautiful and I love it, but sometimes its hard to pinpoint the failure point if something is wrong. Still Not Dummy Proof: The smart home universe is still not evolved enough to be dummy proof. You will need a little bit of technical savvy – or at least know someone who is technically inclined. 1 x Smartthings Motion Detector | 2 x Window/Door Sensor: In addition to informing you when motion is detected and if your door or window is open or closed, the sensors also monitor the temperature in their proximity and can trigger the smarthings hub to turn on lights, or even turn on your AC/Heater to a desired temperature as I did with my nest*. *Nest setup took some tinkering, but definitely achievable for anyone somewhat techie. This is hands down, easily one of the best – if not THE best – smart hub currently on the market. 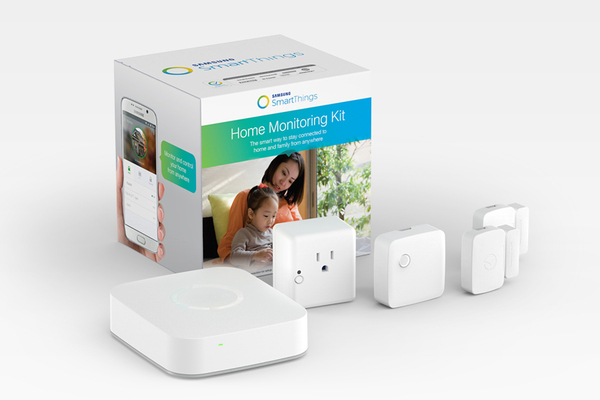 There’s some room for improvement here and there, but it appears that the team at SmartThings has come very close to cracking the smart home code with their hub. I just hope Samsung doesn’t completely ruin it by trying to monetize every feature on this unit. 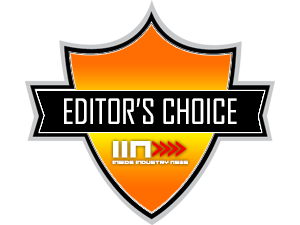 We have awarded Samsungs new Smarthings V2 Hub our Editor’s Choice Award as it has exceeded all expectations. 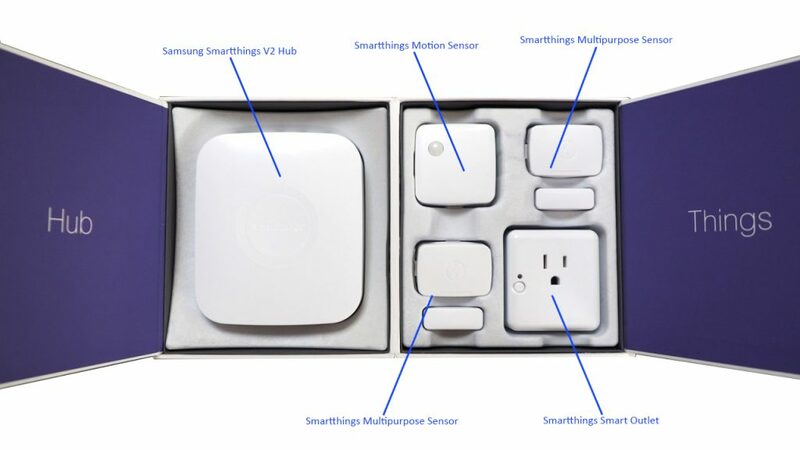 We compared it next to our existing Control 5 unit and an insteon unit and the Samsungs Smarthings V2 Hub came out way ahead when it comes to Fuctionality, compatability, design, and future support.